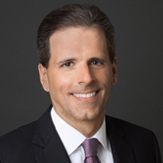 Christopher W. Kersey serves as the Founding Managing Partner of Havencrest Capital Management, and prior to founding Havencrest, Dr. Kersey served as a Managing Member and Partner of Camden Partners Holdings, LLC. From 2011 to 2017, Dr. Kersey served as the Chairman of the Board of Johns Hopkins Medicine International. During that time, Dr. Kersey helped spearhead John Hopkins Medicine International's growth from an emerging pioneer to the established leader in global collaborative health care partnerships by engineering innovative private sector - public sector partnerships with blue-chip institutions such as Saudi Aramco in the Kingdom of Saudi Arabia, HCL Healthcare in India and Pacifico Salud in Peru. In 2010, Dr. Kersey was elected to the boards of trustees of Johns Hopkins Medicine and the iconic Johns Hopkins Hospital, U.S. News & World Report's #1 ranked hospital in the United States for 21 consecutive years. Dr. Kersey also serves on the boards of directors of the Johns Hopkins Hospital Endowment Fund and Johns Hopkins Aramco Healthcare (JHAH) — a joint venture based in Saudi Arabia and one of the world's largest population health management initiatives. Dr. Kersey is also a member of the Johns Hopkins Medicine Compensation Committee, the Johns Hopkins Medicine Patient Safety and Quality Committee and the Johns Hopkins Hospital Credentials Committee. In 2017, Dr. Kersey was elected to the board of trustees of the GuideStone Funds, the largest Christian mutual fund in the world with more than $12 billion in assets under management, where he serves on the Investment Management Committee and the Nominating and Governance Committee. Dr. Kersey earned his B.A. from Stanford University, his M.D. from the Emory University School of Medicine and his M.B A. from Harvard Business School.